You might not even realize that your teeth are crooked until your dentist recommends orthodontic treatment. Or, your malocclusion may be significant enough that the need for braces is obvious. Either way, tooth misalignment is about more than appearance; whether slight or severe, crooked teeth have the potential to seriously affect the rest of your oral health. Fortunately, we offer a number of options for correcting nearly all degrees of malocclusion, including cosmetic options that don’t require brackets and wires. Orthodontic braces consist of small brackets attached to your teeth and connected by arch wires. Braces slowly move crooked teeth into straighter positions while allowing supportive bone and tissues to safely reposition themselves. For patients with serious cases of malocclusion, or young children who need interceptive treatment, conventional braces may be necessary. 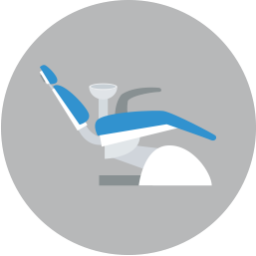 While they are often made from metal, we offer a choice of more discreet options, like tooth-colored brackets and invisible wires. Invisalign® clear aligners are frequently prescribed to older teen and adult patients who prefer not to wear bracket-and-wire braces. 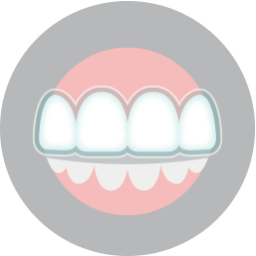 Invisalign is typically recommended for patients with mild to moderate malocclusion, and who are old enough for their jawbones and teeth to have fully formed. Treatment involves a series of custom-designed plastic aligners that are clear and nearly-invisible. Each aligner is worn for a couple of weeks, and then replaced with the next, continuously nudging crooked teeth into more desirable angles.